HORSE LOVER'S PARADISE! Don't miss this Pond Frontage Custom Built Equestrian property situated on 7.13 Beautiful Acres! This contemporary country home's interior features 4BR/3.5BA with 2845 sqft of living area (including lower level bonus area with separate entrance and kitchenette, making the perfect guest suite, man cave or recreational area ... also wired for surround sound)! Designed with arched doorways; wood burning fireplace; recently renovated eat-in country kitchen with quaint window seating; double oven / convection oven; new flooring; formal dining room; master bath jacuzzi tub w/ separate shower; master bedroom with private screened porch; His and Hers master bdrm walk in closets; double sink Jack & Jill bath joining bedrooms 2 and 3; New roof (2018); 1 year New AC, plus more! The exterior property includes a 60x54 6 stall horse barn with with new feed and tack room, 3 separate paddocks, holding pen, 1 run out stall, coveted hay storage, shelter in 3 of the 4 paddocks, automatic waterer's throughout, built in hay bins, separate wash rack with rubber mats, grooming areas; fenced and cross fenced, all with easy access to the barn. Plenty of riding trails around and a negotiable round pen. With an East facing front exposure you can enjoy beautiful views and sunsets looking out from multi-level screened porch deck in the rear of the home. Fantastic business opportunity for boarding horses! 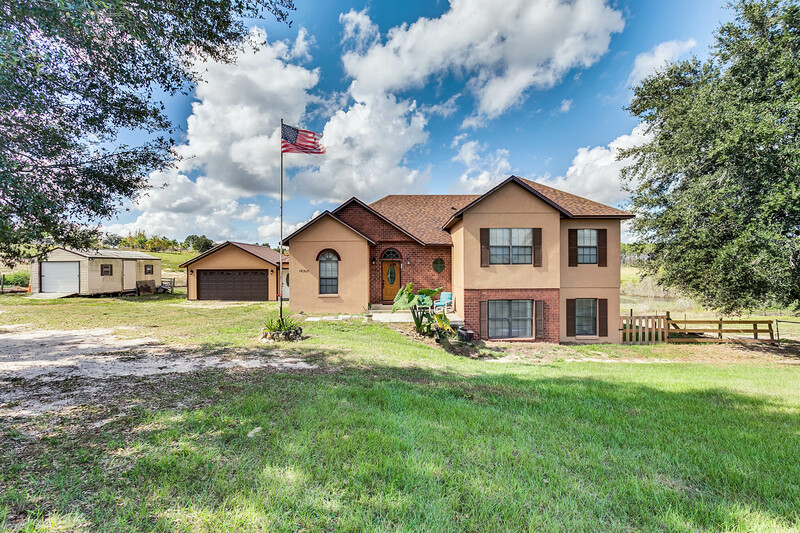 A quaint, private paradise in a desirable and friendly neighborhood, allowing country living yet easy access to major roads / highways leading to shopping, casual & fine dining, golfing, plus Central Florida's famous attractions & Beaches.